.Net Developers are a bunch of whiners!!! 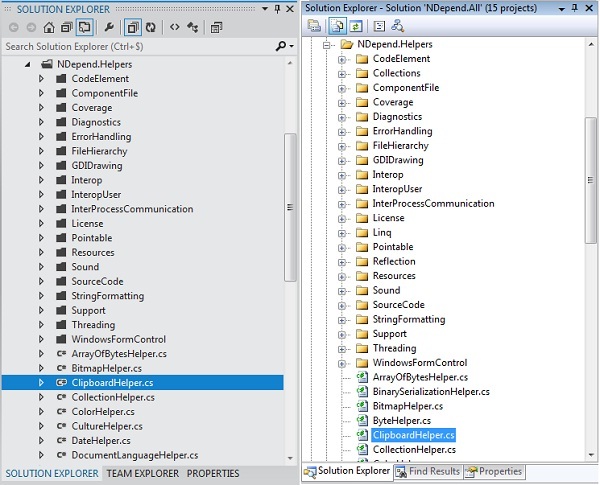 I don’t know if you have seen Visual Studio 2011 or not yet, here is a screenshot of the solution explorer compared to how it used to look: I personally do not care about how my tools look, but apparently the entire .Net development community cares more about how their tools look than how their tools actually function. Don’t believe me? There are lots more ranting and raving going on, with more and more coming on everyday. I think Microsoft is simply moving towards what other desktop applications such as Photoshop and Lightroom are doing with darker themes and the same colors to keep the IDE in the background and allow you to focus more on your actual application, you know, what you are getting paid to build?? Sure some are focusing on the improvements, but to me, its pretty telling about a development community when what your IDE looks like is more important that the actual features or actual code you can write.